Surprisingly Belgium is only appearing 3 times and only once in someone's top 3. 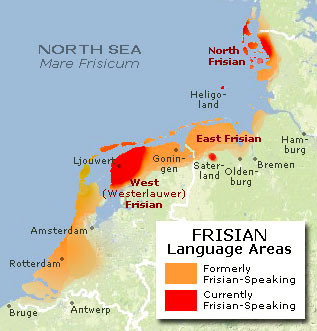 Linguistically speaking the Flemish are of course the closest neighbours of the Dutch. But a recent paper found some genetic differentiation between Northern and Southern Netherlands which would also extend to Belgium/Flanders. This might provide a partial explanation for the relatively low frequency of Belgian matches. However it's also known that many Flemish and to a lesser extent also Walloon protestants migrated to the Netherlands during the Spanish occupation of Belgium in the 16th/17th century. So there should be some shared ancestry dating from that era especially in the big cities of Holland which received most of these migrants. Perhaps it's also simply to do with Belgians being underrepresented in the AF/CoA database. Spain is appearing more often (4x) than France (1x), no idea how to explain this. I tend to believe that Spanish ancestry dating from the (brief and mostly indirect) rule by the Spanish in the 16th/17th century is mostly an urban myth, but perhaps it's more than just hype In fact there's way more historical proof of French migrations to the Netherlands (protestant Huguenots especially) and French armies were stationed in greater numbers and more recently during the Napoleonic occupation (1795-1815). Perhaps again it just means that the French are relatively underrepresented in AF/CoA's database. Last edited by Don Felipe; 08-31-2013 at 04:10 PM. Last edited by Don Felipe; 08-31-2013 at 04:18 PM. Last edited by Don Felipe; 09-03-2013 at 08:24 PM. Last edited by evon; 09-04-2013 at 09:32 PM. Last edited by Don Felipe; 09-06-2013 at 08:59 PM. Last edited by Don Felipe; 09-06-2013 at 09:02 PM. You should look at proxies in these cases, so if you found a match in say Philippines, it is likely that this person have some European ancestry, but it need not be Dutch, it could also be related via another linage, but i dont think the segments are much older then 1500 years, as otherwise we would have far more matches in southern regions.. if you want to check out IBD matches for Dutch people, look here.